Decided to take an old work mate for a day’s worth of yabby pumping and fishing. Low tide was at an inconvenient 3pm, so I had forewarned him that yabby pumping was going to be a challenge. We went to our spot at about 1pm and the water was still about ankle deep to shore, making the pumping quite difficult in knee deep water. After wasting about a good half hour there we only managed the one yabby and a handful of soldier crabs. Met dad down at a spot in the Hacking and fortunately he had a bit of bait on him. The yellowtail were on the bite and we managed about 20 all up within a few hours. 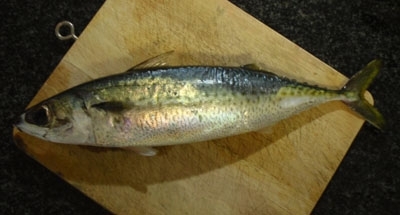 Dad hooked up on a monster slimy mackerel, would have been about 35cm or so, but it took off to the nets and snapped him off with a matter of seconds. There was not much on for the rest of the day, until dad was on again with a slimy, and this time fortunately it took off out to deeper water and he was able to reel it in. It measured around the 40cm mark. My work mate was happy with his catch of a handful of yellowtail, but would have been happier if the mackerel was part of his catch as well!